Erdogan does not fully understand what the SCO really is, experts say. Turkey’s President has said one of the options the country was looking at as an alternative to the European Union was to join the Shanghai Cooperation Organisation (SCO). 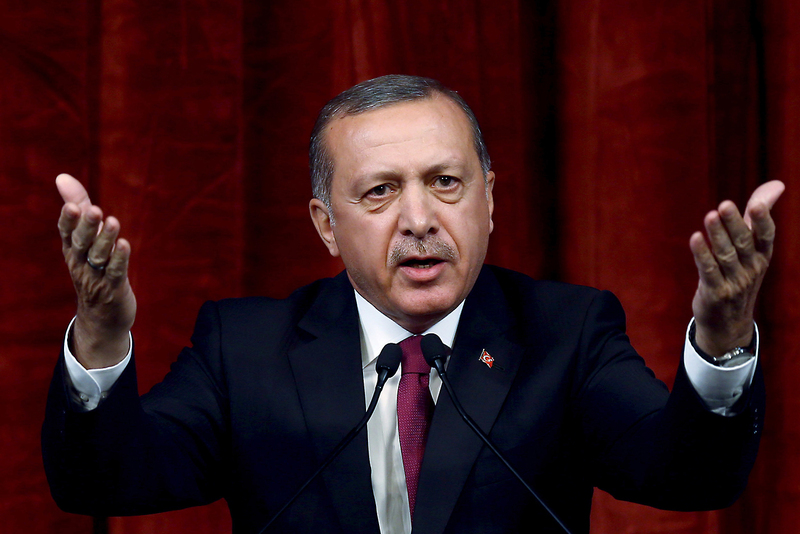 The Turkish President Recep Tayyip Erdogan said Turkey considers joining the Shanghai Cooperation Organization (SCO) as a real alternative to membership of the European Union. “Turkey is not hung up on the question of the EU,” TV Channel Haberturk broadcast Erdogan’s words to a group of journalists who accompanied him to Pakistan and Uzbekistan. Erdogan said events similar to ‘Brexit’ may occur in Europe in the foreseeable future. “Such voices are now being heard in France, and in Italy. Under these circumstances, Turkey should simply relax. No need to say that the European Union is the only option. Why should Turkey not become a member of the SCO? I talked about this with (Vladimir) Putin and (Nursultan) Nazarbayev. Participation in the SCO will provide us with greater freedom of manoeuvre,” said the President of Turkey. Erdogan criticized the European Union which, according to him, has stretched the process of Turkey’s accession to the union to infinity. “During the first years, they used to invite our Prime Minister to the EU Summits, but this practice has now ended. They introduced a visa-free regime with Latin America, but we are still being forced to wait,” he lamented. Pyotr Topychkanov, researcher at the Carnegie Moscow Centre, told Kommersant that the Shanghai Cooperation Organization cannot be an alternative to the EU for Turkey. Topychkanov said that Turkey, regardless of its relations with the EU, has been throwing long glances in the direction of the SCO, and today has the status of partner of this organization. “Ankara is attracted to the SCO as a platform, on which infrastructure projects are being implemented with the participation of China. Turkey is not capable of completing such large-scale projects on its own. I do not see any serious obstacles to its inclusion in the list of observers. However, the SCO must first digest the membership of India and Pakistan, which should take about five years,” Topychkanov said.